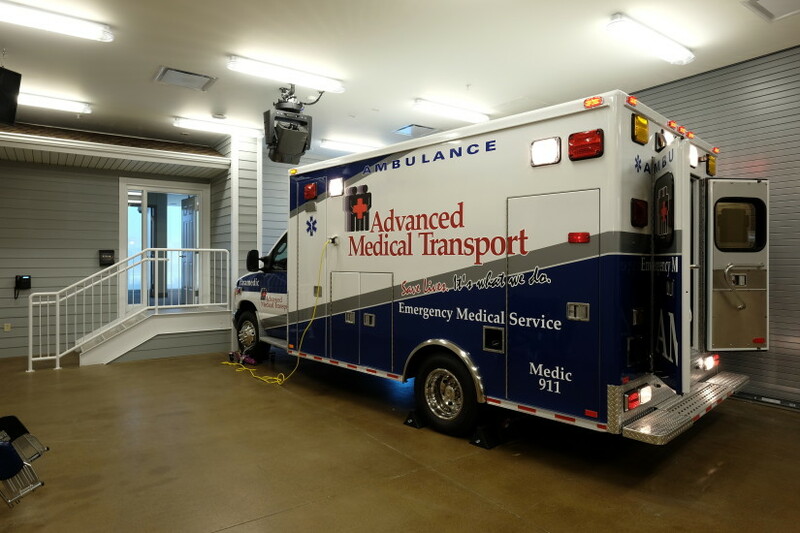 A collaboration between OSF Healthcare and the University of Illinois College of Medicine at Peoria, the Jump Trading Simulation and Education Center is comprised of conference rooms, breakout rooms, classrooms, simulation exam rooms, simulation operating rooms, a simulation first response apartment (with an ambulance) and an auditorium. 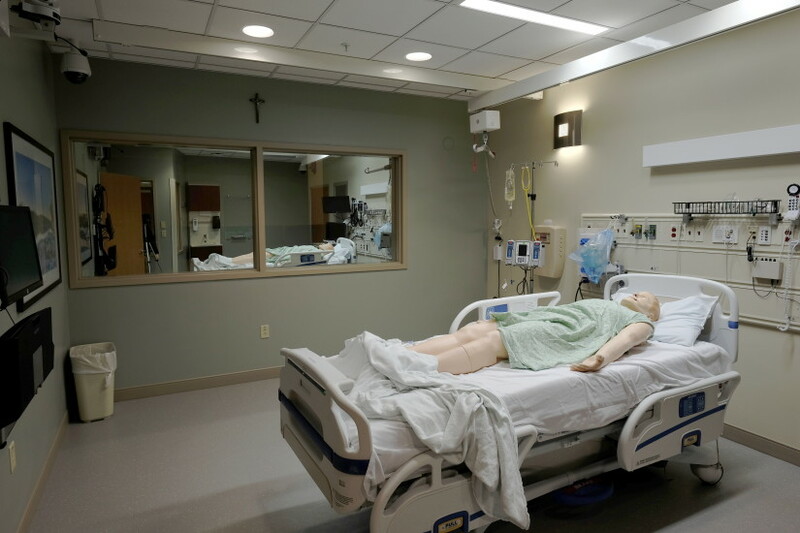 This virtual hospital combines actual medical equipment with the latest simulation technology in order to provide state-of-the-art education, training and research. The acoustical design prioritized space isolation in rooms with audio recording and open microphones. They also reviewed mechanical vibration and noise to locate any potential sources. Our audiovisual team fitted the warehouse that contains the simulation spaces with articulated projection systems to simulate stress created by a certain situation. The design provided each space with its own recording equipment and control room. 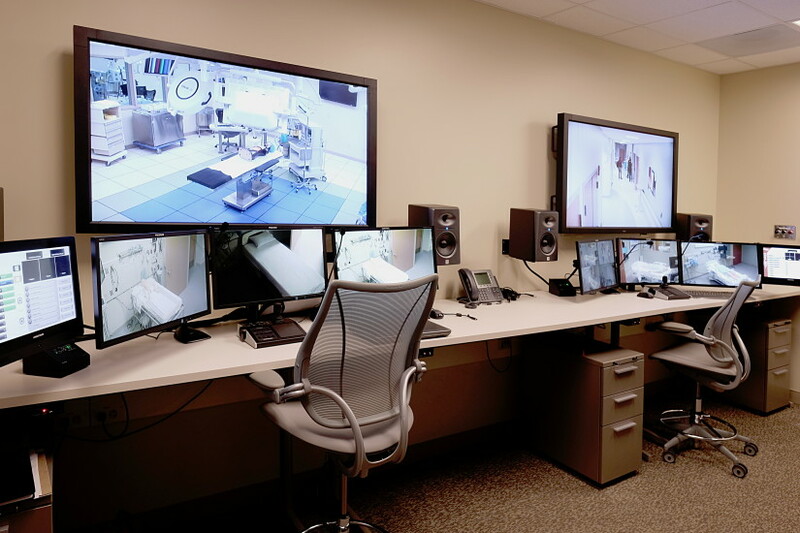 Control room systems capture vitals of the simulation mannequins, which are programmed to simulate real-life body systems and measure medicine given in each situation. Recordings can be transported over the network to be analyzed in real time (and time aligned) from the control rooms.